For the first time, Australian farmers can forecast grain yield at the touch of a button, thanks to a new smart phone app developed by Australia's national science agency, CSIRO. The innovation, known as 'Graincast', allows growers to estimate yields ranging from a single paddock, right up to their entire farm. "Having a yield forecast can help farmers with crop input management, setting yield targets, diagnosing yield constraints, risk management, marketing decisions, forward selling and more," CSIRO scientist Dr Roger Lawes said. 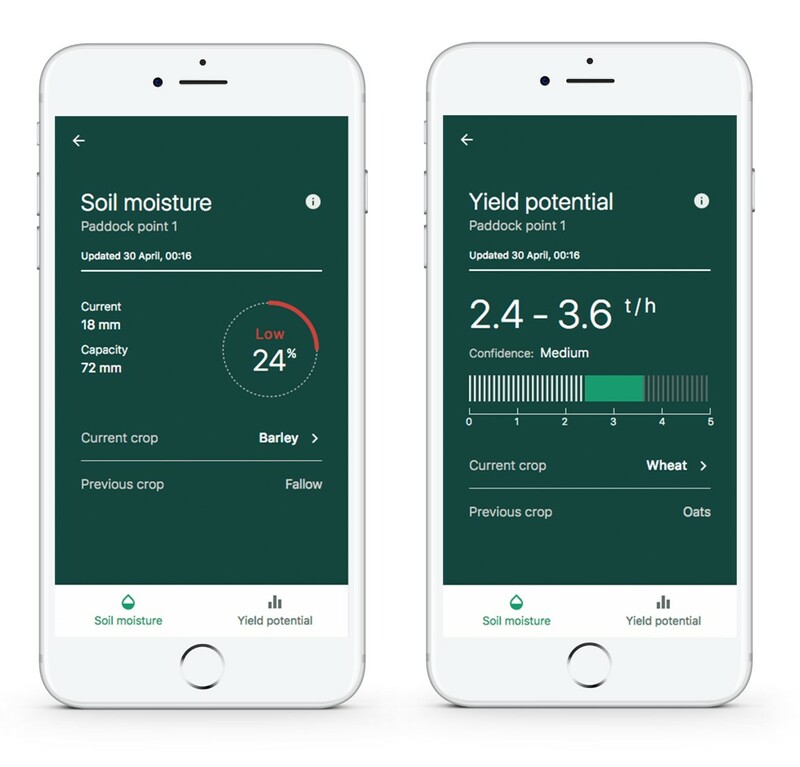 "The app is easy to use, and growers need to input just three pieces of information - the paddock they want analysed, the crop grown last season and the crop they plan to grow or are growing in the current season. That's it." It is the only app that gives instantaneous soil, water and yield information at any time without the need for substantial user input. It means growers can make better informed crop and paddock management decisions - in near real-time - like never before. The app was developed by CSIRO scientists in response to feedback from grain growers about what they needed, and what they liked about their job. "They told us that they wanted something that was mobile, quick and easy to use. They didn't want to be told what to do, they just wanted the key information so they could decide what was best for them. So that’s what we built," Dr Lawes said. "The Graincast app helps growers with their crop decision-making instincts." Graincast draws on information from satellites, climate forecasts and sensors to estimate historical crop yields, yield potential and crop species. Crop models are combined with soil maps to create yield forecasts for the Australian continent. This information comes from the Soil and Landscape Grid of Australia, APSIM (the agricultural production systems simulator) crop model, MODIS and LANDSAT satellites as well as other sources. The data is brought together in CSIRO's newly constructed data platform and output to a smart phone for agricultural businesses to quickly acquire information about production without the hassle of identifying soil types, calibrating models, searching for satellite information or trying to interpret complex data. Protecting privacy of businesses and the opportunity for users to withdraw at any time was an important feature when designing the app. In an Australian first, the smarts behind the app enable various other industry players such as advisers, bulk handlers, marketers, commodity forecasters and insurers to forecast grain production at the regional and national scales. The app is free and available by emailing graincast@csiro.au. For more information about the app and crop yield forecasts, visit Graincast: Monitoring grain yield through real-time paddock analytics. CSIRO are world leaders in digital agriculture. 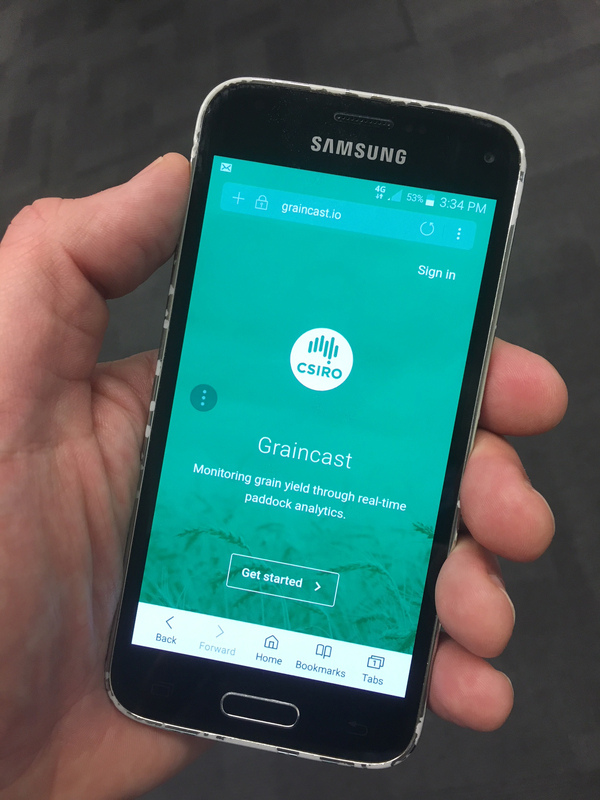 Graincast is part of CSIRO's Digiscape Future Science Platform, which is harnessing the digital revolution for Australian farmers and land managers.